We’re very pleased to introduce our newest contributor, Bethany Heck. As Ms. Heck notes here, she’s the proprietor of the Eephus League, a site that Andy Warhol has posthumously described as “the best thing available on your futuristic technology screens.” In what follows, she promotes shamelessly a thing the she herself invented. Prepare to exchange American currency for it! Greeting, NotGraphs community! I have been blessed enough to be asked to join this wonderful writing staff; certainly not an offer I could refuse. I will commence my tenure with a bit of shameless self promotion. My foray into the baseball ethos is centered around the Eephus League, a site with a growing community centered around baseball minutiae. 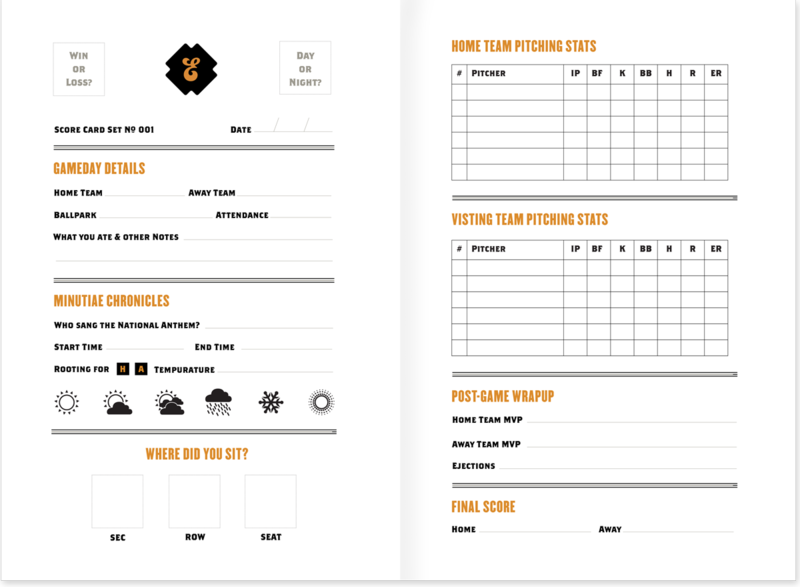 I built the site from the ground up with the goal of creating an oasis of random facts, photographs, scorekeeping insights, stories, verbiage and product patents related to baseball. I particularly enjoy making graphic illustrations and infographics related to baseball, and that’s the main reason I have ended up here. 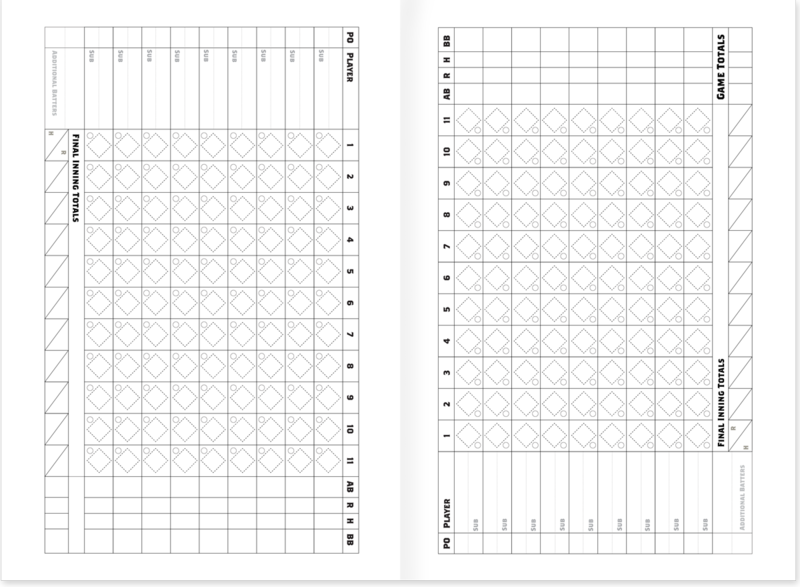 The other reason, of course, is to convince you to buy my baseball related stuff, most importantly my scorebook. I love scorekeeping. 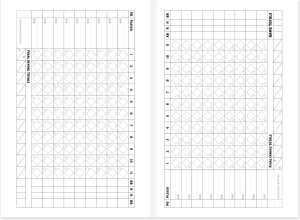 I don’t consider myself an expert by any means, but I am fascinated by the development of the art of keeping score and how intensely personalized it is. You can look at 10 different scorecards from the same game and though they will all have the same information, they will all tell it in a different way. It is a travesty that so many people have fallen out of the habit, or never got started in the first place. I want to change that. 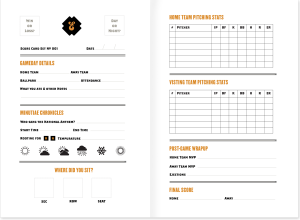 I want to make scorekeeping fun, easy and a natural part of going to the ballpark. That’s where my scorebook comes in. Here are some photos to get you excited. Now that you’re excited, here are the details. First off, there are stickers. Awesome, right? 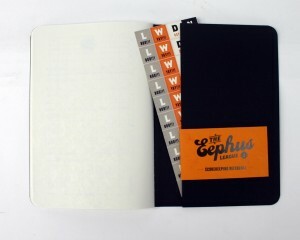 I am getting two sets of books made. 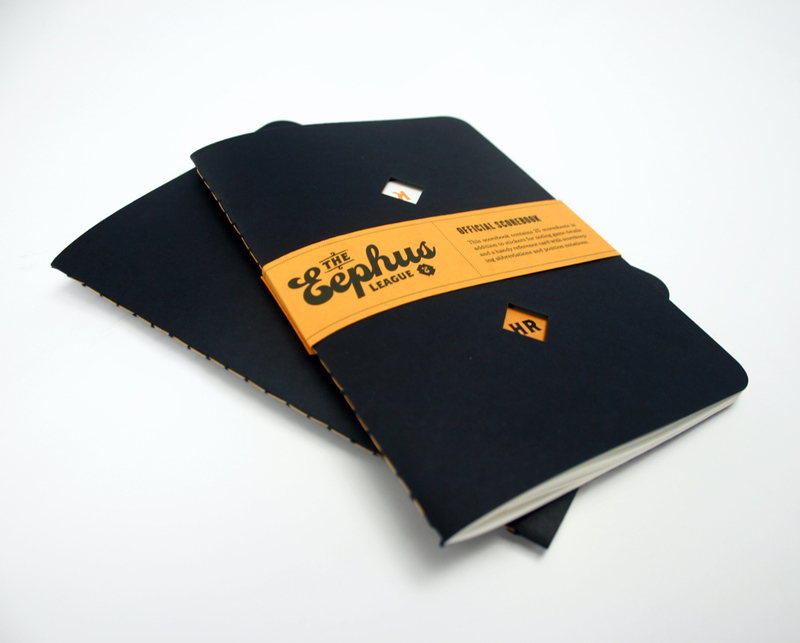 The version pictured above is the smaller, “pocket” design. Now, to say anything other than two business cards glued together is going to fit in a pair of lady jean pockets is a blasphemous lie, so we will just use the male definition of pocket size and for ladies it is the “easily fit in your massive purse” size. 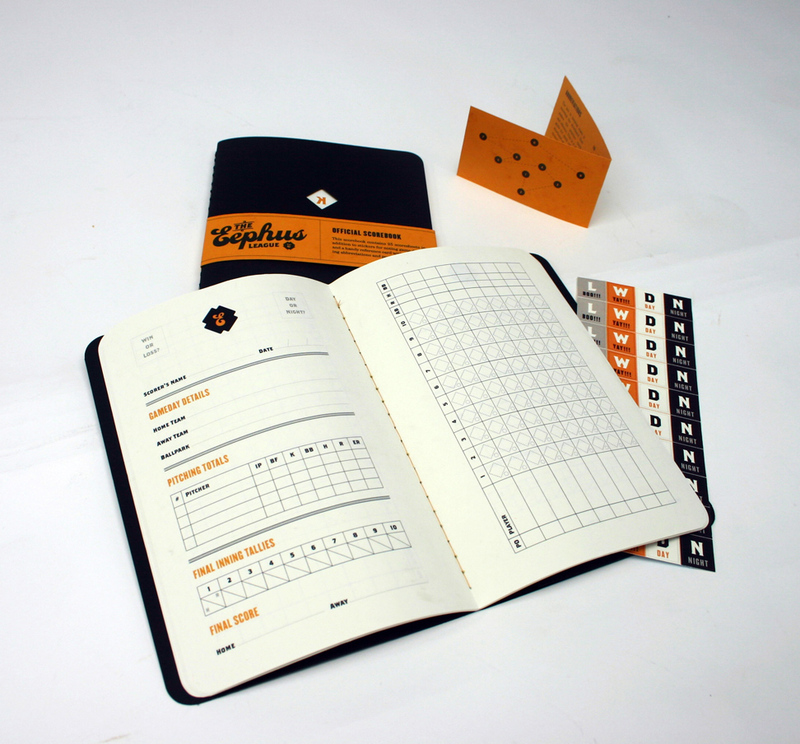 The book is catered toward new scorekeepers and people who are obsessed with record keeping. There’s spaces for noting where you sat, what the weather was like and who sang the national anthem. The larger book (still purse-sized for the ladies) is a little more down to business. 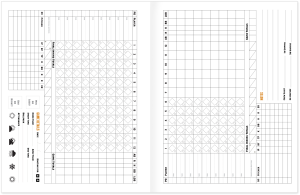 It’s larger, has room for more innings and stats, the grid is larger so you can make more notes while keeping score, and there are spaces for noting which umpires are officiating the game. 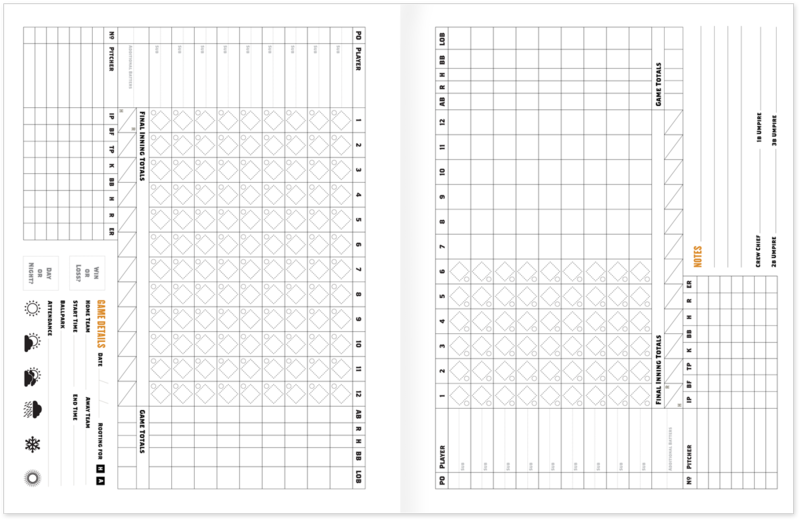 Both are awesome for slightly different reasons, and both will allow you to keep score at a game without fighting with a spiral bound monstrosity with page after page of lifeless grids. Plus, they totally look like Moleskines, which adds like 9,000 points to your coolness rating. It almost offsets the fact that you’re at a baseball game. Hipsters might start going to baseball games just so they can carry one of these around. So, head over to the Eephus League, check out some more pictures, give me some feedback and send me an email saying you’ll buy one. 2011 is the year of the scorekeeper! I’m looking forward to being a part of this community, thanks to Notgraphs for having me! If there’s anything you want to see in an infographic, just let me know. 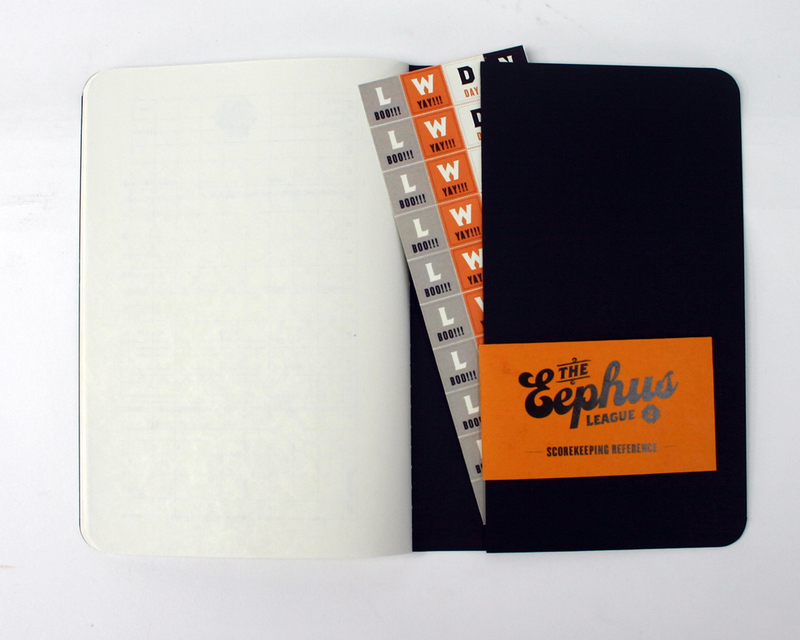 We hoped you liked reading Little Black Book by Bethany Heck! This tests the boundaries of awesomeness. Ole Hoss Radbourn aesthetics, check. Sign me up. Let’s buy two (at least).